As of yesterday, I’m 14 weeks pregnant. Most of you know that I’ve been eating mostly primal / paleo for about 2 and a half years now. Well, to add to that, my husband and I joined a Crossfit gym in February of this year and we love it! Finally, I’m planning a home-birth with a midwife. So for the next six months, this blog will be focused on paleo, primal, pregnant crossfitting moms who are planning natural births! I will upload all my workouts that I’ve done since I first found out that I’m pregnant and I will outline the symptoms that I’ve been feeling each week. I may talk a little about supplements I’m taking and other choices that I’ll have to make (vaccines, cribs, co-sleepers, cloth or disposable diapers). But mostly, it’ll be about being a paleo, pregnant crossfitter. 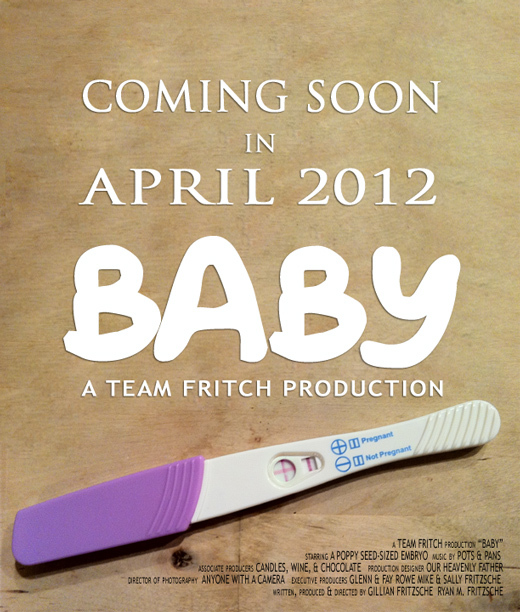 This entry was posted on Tuesday, August 2nd, 2011 at 9:00 am and is filed under preggie. You can follow any responses to this entry through the RSS 2.0 feed. You can leave a response, or trackback from your own site. 7 Responses to I’M PREGNANT!